DKfindout! allows your child to search, learn, and explore information on a safe and secure site. Perfect for help with homework, DK’s clear, reliable, and highly visual content covers all curriculum subjects and more! There are quizzes, videos and animations, and new content being added all the time to engage and fascinate your child. 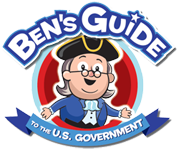 Ben's Guide to the U.S. Government, a service of the Government Publishing Office (GPO), is designed to inform students, parents, and educators about the Federal Government. SIRS Discoverer is a multidisciplinary database for elementary and middle school learners, researchers, and educators covering curriculum areas such as current events, history, health, language arts, math, science, social studies, and technology.